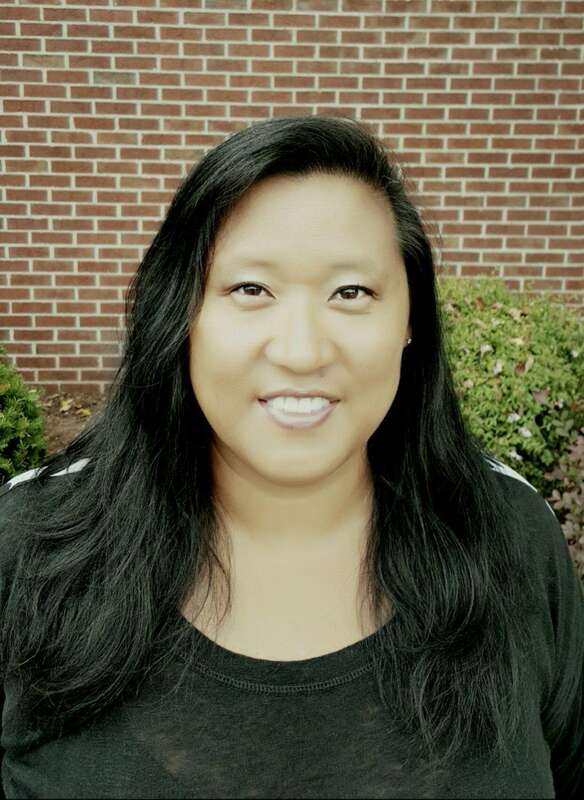 Dr. Kim Coo ke has over 21 years of teaching as a K-12 physical and health educator. During her 21 years, she has experience working in elementary, middle, and high schools. In 2005, she served as Union County’s Teacher of the Year and assisted the district in renaming and adding high school fitness course electives. Presently, Dr. Cooke serves as the Health and PE Specialist in Charlotte Mecklenburg Schools (CMS). In this role, she supports over 400 health and PE teachers by providing training, curriculum, and equipment. 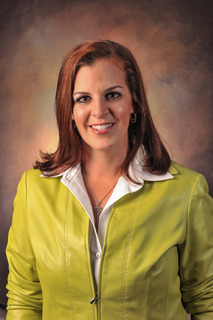 Additionally, she is constantly advocating “Why students need quality physical activity, physical education, and health education to maximize their learning.” While in CMS, Dr. Cooke has supervised a 1.8 million dollar PEP grant and received over $200,000 in district funding to purchase fitness equipment for all high schools and middle schools. In 2015, she received her doctorate in educational leadership and published her capstone on how Physical Activity and Student Weight Impacts Test Scores. My name is Carmyn Glynn and I am the Physical Education Teacher at Sumner Elementary School. I am also an Adjunct Instructor of Kinesiology at Greensboro College. It is a great honor to be nominated for the position of Vice President of NCAAHPERD-SM. King George VI said, "The highest of distinctions is service to others." Service to NCAAHPERD-SM is where I have found my niche. I find it very difficult to create a list of reasons why I think I should be elected by you to serve as the Vice President so I will share with you my record of service and philosophy of leadership. I have enjoyed volunteering on the Registration Committee for the past 14 years where I have attempted to meet the needs of all members of the Alliance. It is always my goal to ensure each member enjoys their time and that everything runs as smoothly as possible. I served as the Alliance Secretary to the Executive Board of NCAAHPERD-SM for two years. During that time I was able to observe the Leadership on the Executive Committee. Those observations helped me realize what a commitment the Leadership makes to the Alliance and what it takes to run a successful organization. I was selected to serve as a SPARK Trainer for NCAAHPERD-SM and was afforded the opportunity to travel across the state and host trainings on the curriculum for the talented teachers of North Carolina. I brought so many of your innovative ideas that you shared with me back to my own gym. I feel as though I was able to learn from each teacher I met during those trainings. This past year I received the NCAAHPERD-SM Service Award. That was an incredible honor and meant a tremendous amount to be recognized for my service to the Alliance. I look forward to continuing to serve the members in any way I can. I have been able to expand my leadership at the school level and within my district. As so many of you have, I have been able to present at the school, district and state levels. I enjoy mentoring Student Teachers as well as Beginning Teachers. I was named a top five finalist for Mentor of the Year for my school district. I was selected to serve as a Teacher Leader at my school. This opportunity has really allowed me to advocate for ALL staff members at my school. I find it is so important to put the needs of others before my own. I always try to look at every situation from all sides and make decisions based on what is best for everyone involved and not only myself. If I am elected to serve as your Vice President I will bring my passion for service to others and continue to follow my philosophy and make decisions that serve the best interests of NCAAHPERD-SM. I am honored by the nomination and thank you for your consideration. 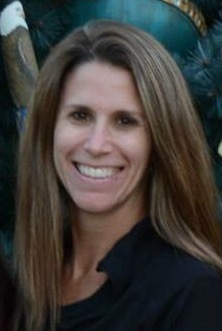 Deanna currently serves as NCAAHPERD-SM’s NCAAE’s Coordinator for Middle School Monday (since January 2012). Deanna served on NCAAHPERD-SM board for NCAAE January 2012-November 2014. She first became a member of NCAHPERD-SM in 1997. Deanna has a Bachelor’s Degree in Health, Physical Education, and Recreation and a Master’s Degree in Physical Education with a concentration in Sports Administration. She is a Certified Athletic Administrator and an Accredited Interscholastic Coach. In addition, she completed SPARK Training. Deanna has been able to build experiences that will help her relate to and assist all associations within NCAAHPERD-SM. Her experience with Health and Physical Education comes from 23 years of public school teaching, which includes Elementary Physical Education (7 yrs. ), Middle School Health and PE (13 yrs. ), and High School Health and PE (3 yrs.). Deanna’s experience with Sports Management includes being a Volleyball Tournament director for USA Volleyball, Volleyball club Director (8 yrs. ), and Swim Meet Director with USA Swimming. Deanna’s athletic experience includes being an athletic director for 9 years and has 28 years athletic coaching experience (Volleyball, Cross Country, Soccer, Indoor Track, Basketball, Swimming, Softball, Spring Track,). In addition, she has been an Instructor for Leadership Training Institute (LTI) through NC Athletic Director Association (NCADA) and NIAAA since 2011. Deanna especially enjoyed serving as Jump Rope for Heart Coordinator when she taught elementary school as a joint effort with her youngest daughter who had open heart surgery in 2000 due to an atrial septic defect. Deanna Morris has dedicated her efforts into promoting and helping elementary and secondary educators in obtaining professional development with Health, Physical Education, and interscholastic Athletics. Her efforts include presenting at State NCAAHPERD-SM Convention in the late 90’s, presenting promotion of NCAAHPERD-SM at the city/county state Athletic Director’s meetings, Coaches Clinic, as well as coordinating community events promoting physical activity to prevent suicide and bullying. Deanna Morris’ strengths are fundraising, budgeting, communication, planning/organizing and scheduling. By being involved with the LTI and as Middle School Monday Coordinator, Morris has been able to build professional relationships with sister organizations such as the North Carolina Coaches Association, NCADA, NC High School Athletic Association, and NC DPI Healthful Living and Athletics. Morris brings to NCAAHPERD-SM strong leadership to help promote NCAAHPERD-SM membership and services statewide. She brings to the table a background of professionalism, experience, and passion to help NCAAHPERD-SM associations provide professional development to meet our member’s needs to be successful in their profession. I first became involved with NCAAHPERD-SM over 20 years ago when one of my undergraduate classes facilitated a presentation during conference. Since then I have been honored by the association as NCAAHE Teacher of the Year and SD-SHAPE America Health Educator of the Year. I have also served as a teacher fellow for the North Carolina Center for Health and Wellness and America Achieves. Furthermore, I was a founding organizer of the North Carolina Core Advocates and I am currently a #TeachStrong Ambassador. My involvement with these organizations has launched me onto a national platform for teacher voice and educational policy. I have served the past three years on the NCAAHE Board with the last two as President Elect and current President, affording me a seat on NCAAHPERD-SM's Board of Directors. In addition to my state membership, I am also a Southern District and SHAPE America member. I serve as a member of SHAPE America National Health Education Standards (NHES) Addendum-Skills Based Task Force and the SHAPE America Health Education Assessment (HEAP) Task Force. I keep abreast of our industry through presenting at the state level and on a national level with School Specialty/Sportime/SPARK, PHYSEDagogy, and other state AAHPERD's/SHAPE's as well as contribute to national publications including The Essentials of Teaching Physical Education and guest blogger for SHAPE America. I am lead to serve our association as I feel NCAAHPERD-SM could offer more for our members as we work to become the formidable leader in our state with regards to health, physical education, recreation, dance, sport management, and teaching. I would like to see our members fully engaged with their designated associations by having opportunities for professional development, networking, and advancement in their field(s) through various platforms in addition to attending our annual conference. This would mean looking at ways to offer webinars, Twitter chats, and Voxer groups among other things. I would like to see us develop a more interactive webpage where members could post discussions and begin a dialogue with other members allowing for collaboration across counties and/or help developing an idea for their program. I would also like to see us have a more visible presence in our counties so that we can work alongside school districts and agencies to develop and provide resources, work for change in educational policy that would further our field, and cultivate relationships that could benefit our association. In recent years, our association has overcome some great obstacles and we are in a position to move the needle forward making NCAAHPERD-SM a leading state association once again. I would appreciate your vote and the opportunity to serve you as we continue to progress to the top.